the kid vigorously blows soap bubbles at Micron whilst I crouch on the brown-ish grass with the Canon. Be adorable! I coach the mighty Micron. Try to eat the bubbles! Does he? No, no he doesn't. The dog is dodging these benign creatures as if they're mini UFO's filled with an alien bacteria strain. The same dog that never turns down an opportunity to test the mouth feel of a new object. Oh, but I'm not discouraged. This is just a test run, y'all. We've got a whole bottle of Gazillion Bubbles on the kitchen counter awaiting the green grass of an Ohio spring. And [squee!] a puppy showing up soon. 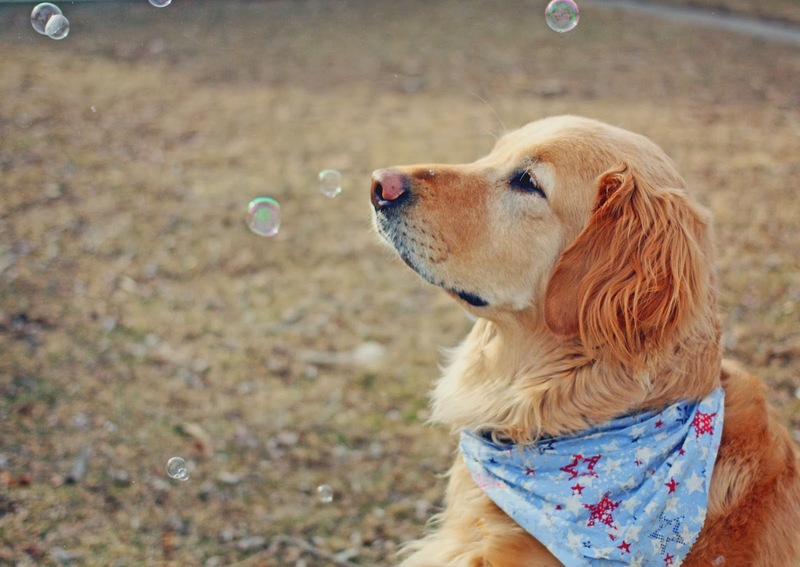 AWWWWW, but I do think it's a great photo, maybe, this pup just loves watching bubbles! I do like this photo! You hoomins and your photo shoots! Bol! Love the photo though, it's sweet even if he wouldn't eat them! Ha ha ha! We had exactly the same reaction when we tried the bubble thing. Finally gave our bubble bottles (three of them!) to the little girl across the street! Aw, poor Micron. Nailah doesn't like bubbles either, I think it's because they get soap in her eyes when they pop!